The Macy tote is a casual yet stylish bag for your doll to carry to school, beach or shopping. Its spacious lined interior with a contrast bow makes this handbag so cute and chic to carry around. Pair it up with a casual shirt, jeans or a pretty dress. Have fun with mixing and matching fabrics. With this easy, versatile PDF pattern, you can make a lot of bags in few hours time. This is a darling little bag. It goes together fairly easily. The hardest part is trying to give it a final press after it is turned right side out through the lining. I could use some pointers on this. I tried stuffing them, but it did not work well. I made 2. They are both really cute. The girls will love them. 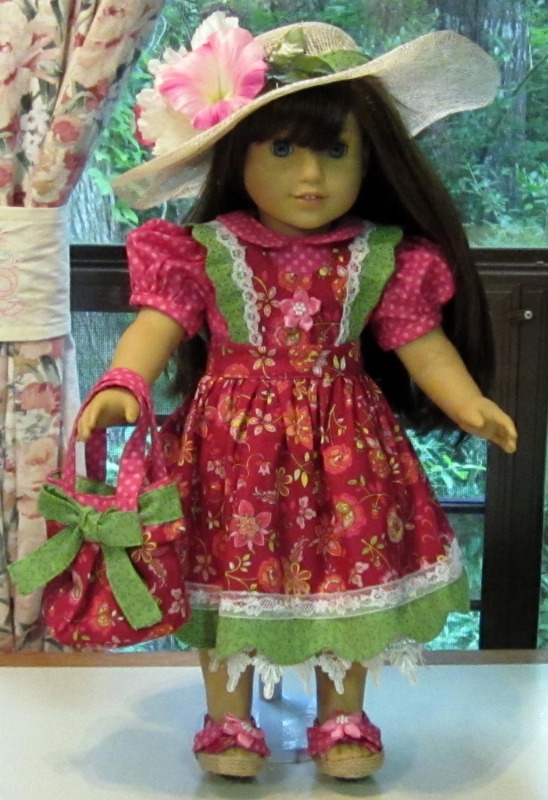 I have totally enjoyed sewing this adorable little bag for the 18" dolls. I found the pattern very easy to sew. The directions are clear and easy to follow. I give this pattern 5 stars so buy it and enjoy it!